Celebrate America’s Independence Day at the City of Fort Lauderdale’s free 4th of July Spectacular presented by Zimmerman Advertising! The Independence Day Celebration will feature a patriotic extravaganza featuring live bands, a kids zone, beach games, contests, family activities and a dazzling fireworks display. The 4th of July Spectacular takes place on Monday, July 4 from 12:00 to 9:30 p.m. on Fort Lauderdale Beach at A1A and Las Olas Boulevard. The PNC Bank Kids Zone will provide non-stop energy and excitement along with plenty of music and comic relief from 12:00 to 4:30 p.m. Highlights will include DJ, music, face painting, beach games and contests. Make sure to bring your appetite so you can compete in an old-fashioned hot dog eating contest. And if that doesn’t fill you up, top it off by participating in a July 4th apple pie eating contest! As the sun goes down, the celebration heats up with live music and entertainment. From 4:30 to 5:45 p.m., Crystal Visions of Fleetwood Mac takes the stage performing hits like “Landslide,” “Dreams,” and “The Chain.” Then, at 6:15 p.m., Brass Evolution takes over performing hits by Chicago, Tower of Power, Earth, Wind and Fire, and more. The 4th of July Spectacular presented by Zimmerman Advertising offers plenty of stress free, convenient transportation options including a bike valet, flat rate parking at City lots, the Sun Trolley, and even water transportation provided by the Water Taxi and Water shuttle. The Sun Trolley is making it easier than ever to have a fun, stress-free Independence Day weekend by expanding services. 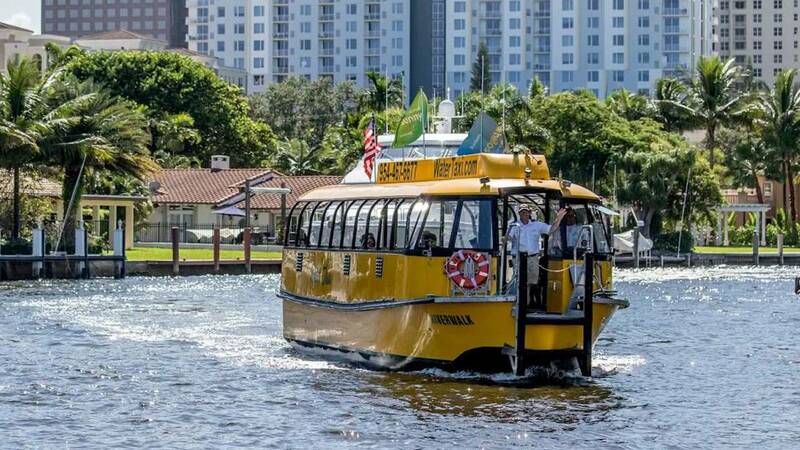 The Sun Trolley’s Beach Link and Las Olas Link routes will operate on an extended schedule on July 4 providing a connection to the City of Fort Lauderdale’s 4th of July Spectacular. To help families avoid beach traffic, the Sun Trolley is offering cost-effective services to the event on its Beach Link and Las Olas Link trolleys. On Monday, July 4, the Beach Link and Las Olas Link will operate on an extended schedule from 9:30 a.m. to 12 Midnight. The Beach Link route extends from Harbor Shops (17th Street Causeway) to The Galleria Mall. The Las Olas Link route runs from the Broward Center for the Performing Arts (SW 2 St and SW 5 Ave) east along 2nd Street to the City Park Garage, then proceeds to Las Olas Boulevard and travels east to Fort Lauderdale beach. Fares for the trolleys are $1 each way or $3 for an all-day pass. To catch a ride, passengers can park their cars at the city parking garages ($5 flat rate) located at the corners of SE 2nd Street between SE 1st Ave. and SE 2nd Ave., and wave at the Trolley driver from a safe stopping location anywhere along the routes. The trolleys also offer bike stows. To view detailed maps and schedules for the Sun Trolley routes or to download the award-winning Sun Trolley tracker app to track the trolleys in real time, visit SunTrolley.com. The City of Fort Lauderdale’s 4th of July Spectacular is presented by Zimmerman Advertising and is co-sponsored by the Fort Lauderdael Parks and Recreation Department, PNC Bank,101.5 LITE FM, and the Sun-Sentinel.